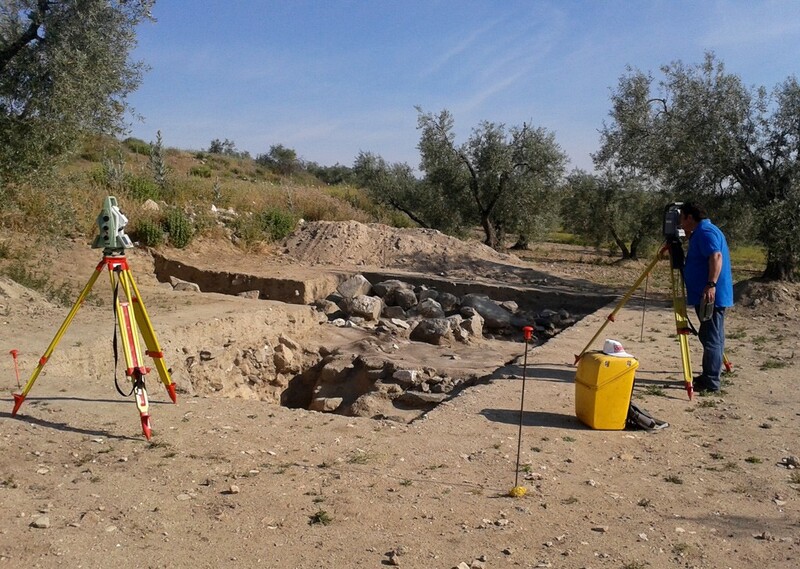 The ﬁrst archaeological research was carried out by José Amador de los Ríos in April 1859.. 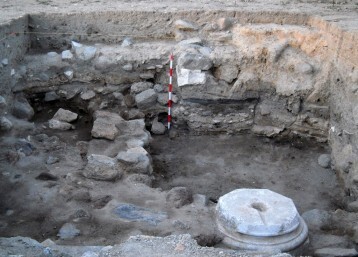 The main archaeological ﬁnding from Mr. Amador de los Ríos, was that of the remains of a funeral chapel where an Archpriest called Crispín was buried in the late 7th century. In addition to that, it was also important his description of the place where the treasure was found, since it is currently helping us to locate it. 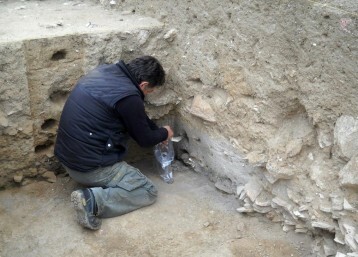 The second archaeological research on Guarrazar was undertaken by the German archeologist Christoph Eger between 2002 and 2005. 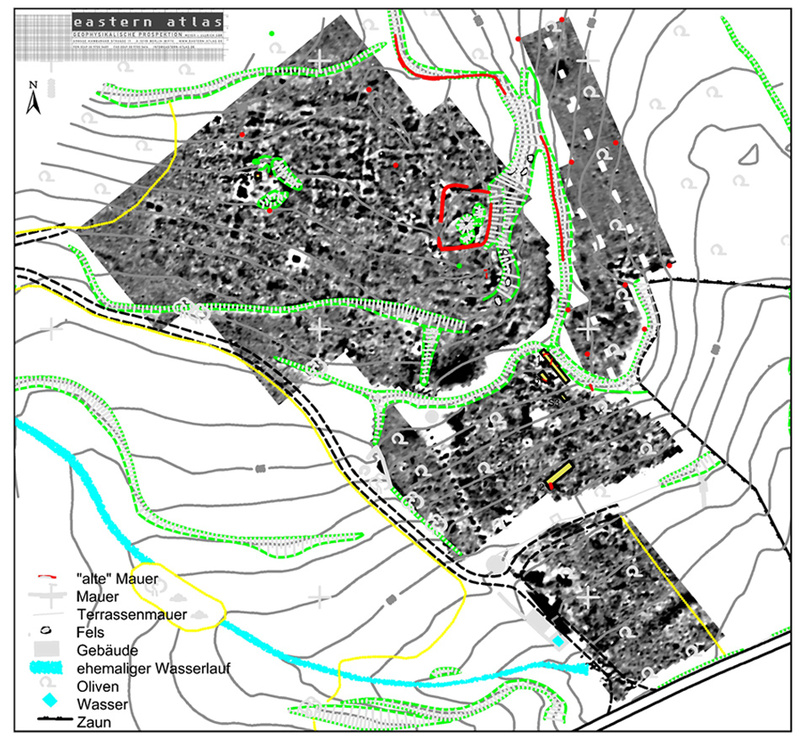 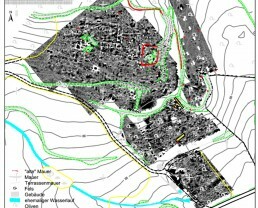 The archaeological intervention by Mr. Eger fundamentally involved some explorations and a geomagnetic and geo-radar analysis in order to study the underground structure in the main area of the site.. These works have provided the basis for initiating the excavations under the current project. 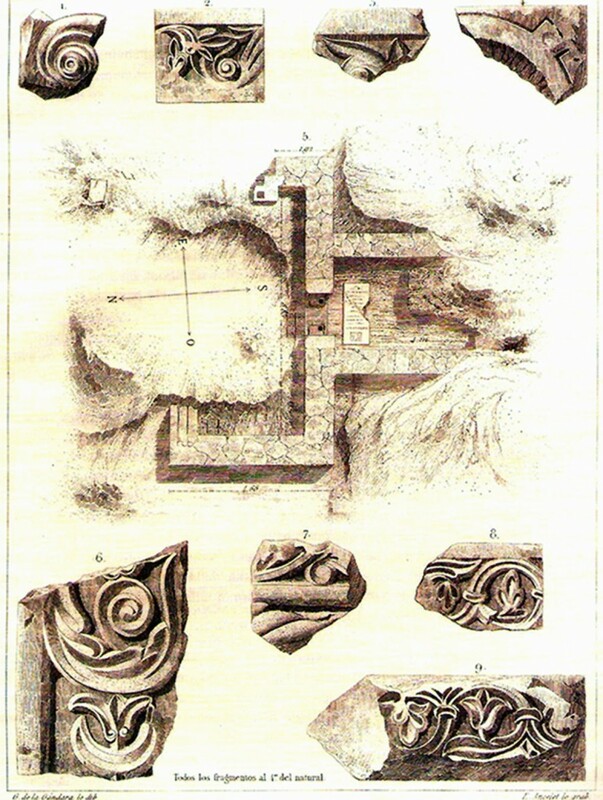 A drawing of one of the soundings stratigraphic proﬁles, undertaken by Mr. Eger on the plot 133. 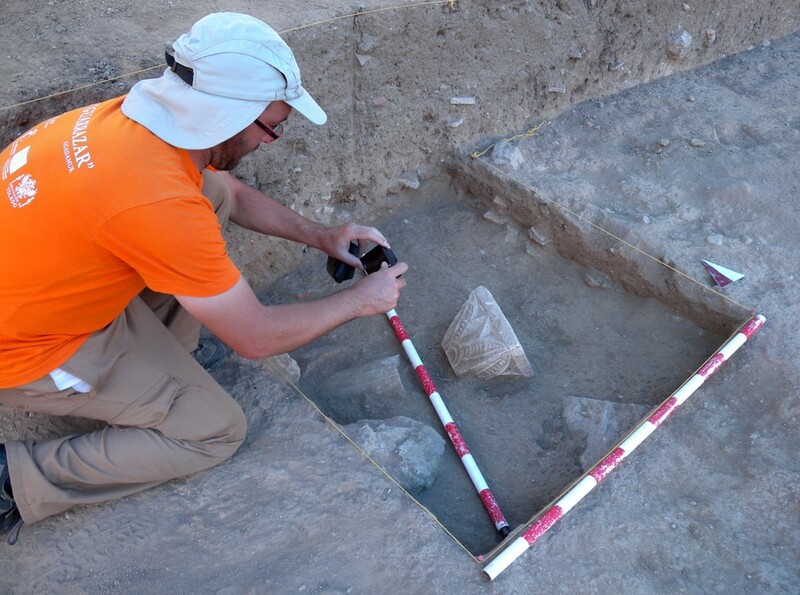 Christoph Eger, together with one of the explorations that was made on the plot 133. 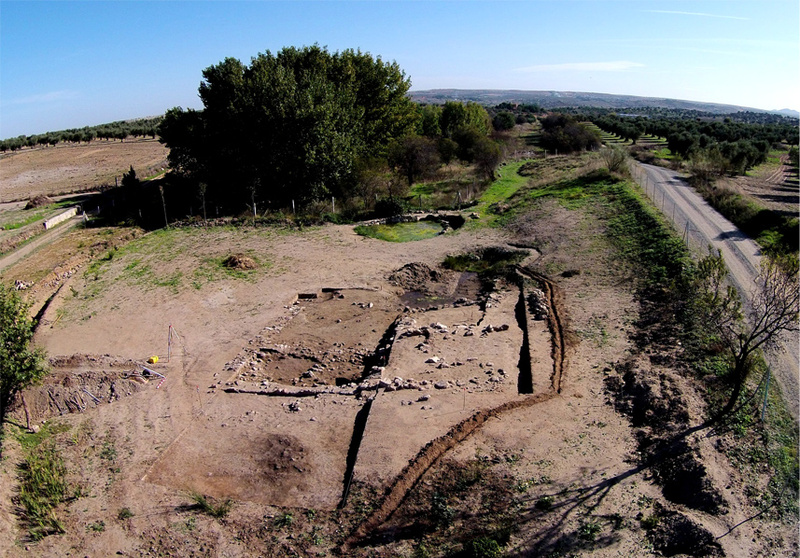 In 2013 the current archaeological researches began, known as GUARRAZAR: ARQUEOLOGÍA y NUEVOS RECURSOS. The current project, additionally with the excavations taken place on the site, have also allowed investigation about the surrounding geography of Guarrazar, both regarding its cultural landscape and its natural environment. 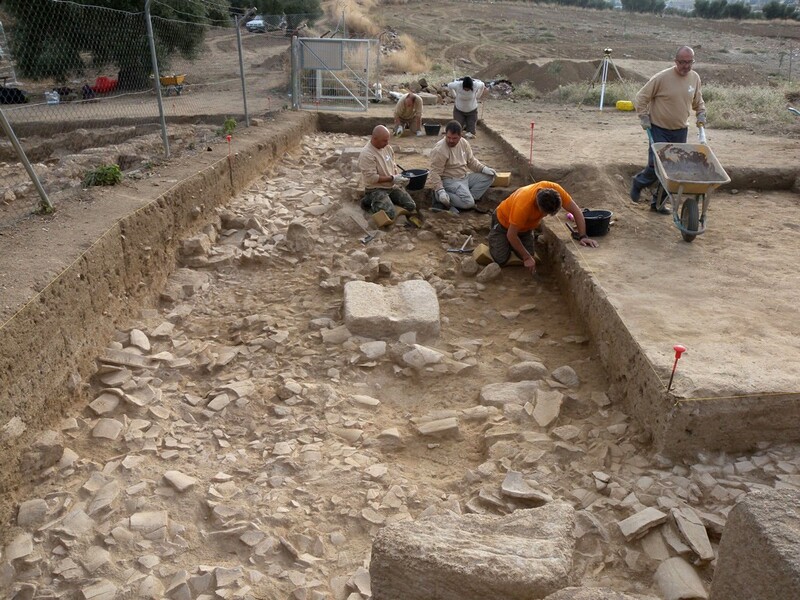 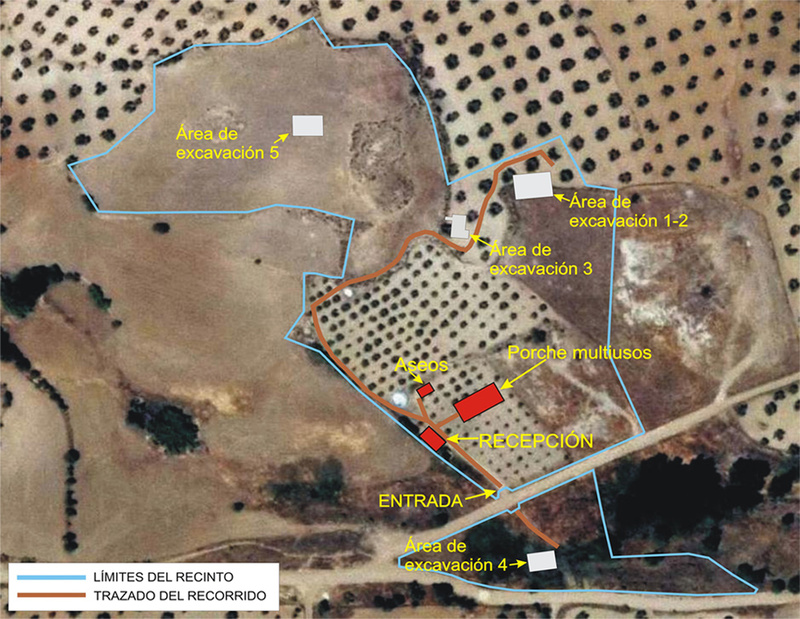 The archaeological excavations have been centred in the area where, according to work hypothesis, would have contained an important Visigoth palatial and monastic complex of the Visigoth age which formed part of the discovery in 1858. 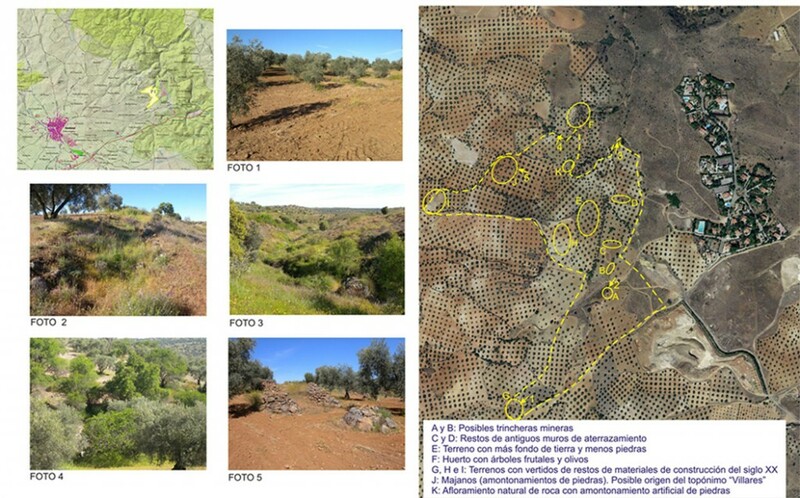 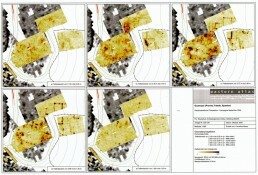 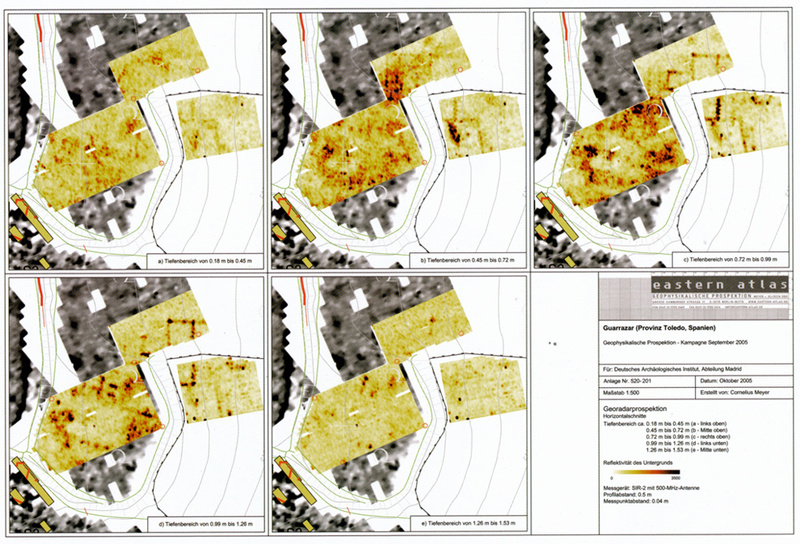 Summary of the ﬁndings of archaeological prospections in a zone within Guarrazar environment. 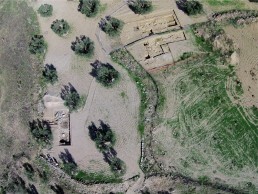 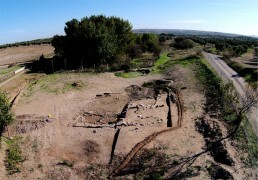 Aerial photo (Iberprix, IGN) illustrating excavation areas. Aerial perspective of area 4 excavation at the end of 2014. 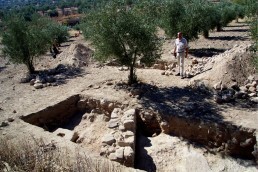 Zone of the fountain where the treasure was found. Aerial photo showing 1/2 and 3 excavation areas at the end of 2014.